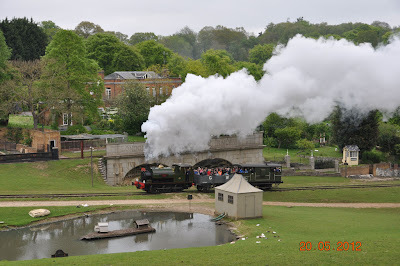 Fawley Hill Railway, rarely open to the public, is part of a Steam and Vintage Weekend this Friday, Saturday and Sunday (17th - 19th May 2013). Admission is £10 (OAP £8; under 12s free) for the day or £16 (£14) for the weekend. Friday evening 6pm - 10pm £6 for all. New Hands on the reins at Stagecoach.